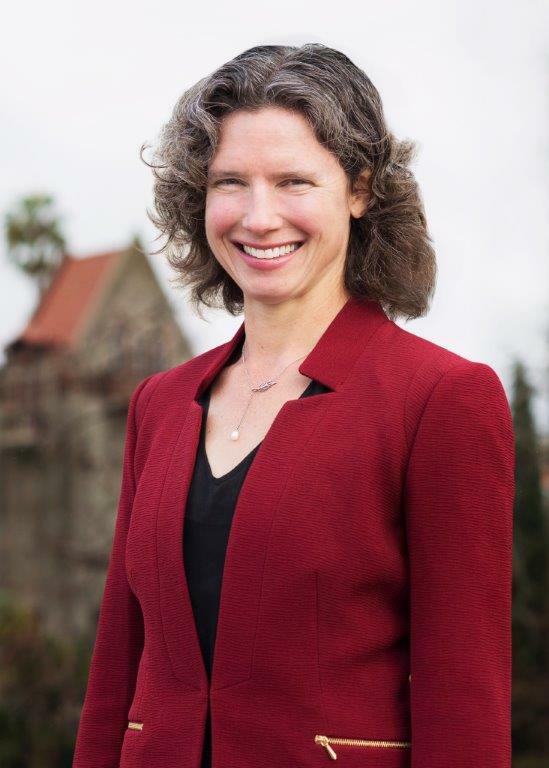 Sonoma State University President Judy K. Sakaki announced today that Dr. Lisa Vollendorf, Dean of San Jose State University's College of Humanities and the Arts, has accepted the position of Provost and Executive Vice President for Academic Affairs for Sonoma State University. Provost is the university's Chief Academic Officer. Vollendorf, a passionate educator and scholar who was selected after an extensive national search, will assume her new post July 1. "We were fortunate to have a number of exceptional candidates for the position, but Dr. Vollendorf stands out for her strong commitment to students and faculty and for her admirable track record overseeing a large and diverse college in a collaborative and inclusive manner," Sakaki said. "I am delighted we found her and that she agreed to become part of the Sonoma State family. I know she'll help all of us accomplish many great things for the university." Of her new appointment, Vollendorf said: "I am thrilled to have the opportunity to partner with faculty and staff to continue to find meaningful, impactful ways to serve students and connect Sonoma State to the broader community." Dr. Jeri Echeverria, who has been in the position on an interim basis after a long and distinguished career at Fresno State University and the California State University system office, has agreed to stay on until Vollendorf starts and to help ensure a smooth transition. "The process was rigorous," Echeverria said. "We called colleagues at other campuses and asked for recommendations. We studied more than 100 applications. We met several times to narrow the group to 10 individuals to interview at a hotel near San Francisco International Airport. We conducted in-person interviews in January and selected the top four candidates from that group." The campus search committee included four faculty, a dean, one staff member, a student and Echeveria. The four finalists spent two days on campus, meeting with several groups including, President Sakaki, her cabinet, Deans, the Executive Committee of the Academic Senate, department chairs, students and the search committee. Public forums were also held for each finalist before Sakaki offered the position to Vollendorf. The position of Provost is the university's chief academic officer, reporting to the President and working closely with deans, faculty, staff, and students to provide vision, leadership and overall management and direction for and within the department of Academic Affairs. The Provost also functions as the University's executive officer when the President is absent from campus. "The search committee's charge was to find a dynamic educator and leader who would help us advance Sonoma State's unique liberal arts and sciences mission while working across disciplines to strengthen the student educational experience," Sakaki said. "We also wanted someone who could help us engage with the broader Sonoma community and lead Sonoma State in the recruitment, retention and nurturing of excellent faculty and staff. I am confident that with the appointment of Dr. Vollendorf, we have a leader who will help us do all that and more." As Dean at San Jose State since 2012, Dr. Vollendorf led a college that serves 4,200 majors and 26,000 undergraduates through courses in humanities and the visual, performing and literary arts. For the past two years, she also oversaw the Hammer Theatre, a city-owned performing arts center in downtown San Jose. Ben Ford, chair of the faculty at Sonoma State, said he was excited about Vollendorf's appointment. "Especially impressive are her commitment to the central educational mission of the University, her background in shared governance, and her experience working with the San José community to oversee a top-flight performing arts space," he said. "At Sonoma State, she'll find an excellent faculty ready to work with her to hone and build outstanding academic programs to serve excited, engaged students." She's known as someone who takes pride in always putting students first, for creating opportunities for interdisciplinary collaboration, and for connecting the university to the broader community through meaningful partnerships. Prior to arriving at San Jose State, she was a professor of Spanish at California State University, Long Beach from 2005 to 2012, where she also was chair of the Department of Romance, German, Russian Languages and Literatures for four years. She was elected to three terms as Academic Senate chair. Before joining CSU, Dr. Vollendorf was on the faculty at Wayne State University in Detroit from 1997 to 2005 and Miami University of Ohio from 1995 to 1997. She earned her Ph.D. in Romance Languages at the University of Pennsylvania in 1995 and a B.A. in English and Spanish at Colorado State University in 1990. Her research has centered on women's cultural history in Iberia and Latin America, with a focus on the sixteenth and seventeenth centuries, and she has received grants from such institutions as the National Endowment for the Humanities, the Mellon Foundation, the Newberry Library, the Huntington Library, and the William Andrews Clark Memorial Library. Dr. Vollendorf has also published two monographs, six edited books, and 35 chapters and articles. Born and raised in Colorado, Dr. Vollendorf studied and lived abroad in Costa Rica as an undergraduate, an experience she said changed her life and inspired her love of travel and exploration. She is fluent in Spanish and enjoys swimming, running, hiking, backpacking, and traveling to faraway places to learn about other people and other cultures. She can be followed on Twitter (@lisavol). Sonoma State has approximately 9,400 students (92% undergraduate). U.S. News and World Report consistently names SSU among "America's Best Colleges." Founded as a liberal arts college in 1961, Sonoma State has evolved into a diversified university with six schools--Arts and Humanities, Business and Economics, Education, Extended & International Education, Science and Technology and Social Sciences--that provide students with the intellectual framework and hands-on skills to thrive in a variety of professional careers. A major contributor to the North Bay workforce, Sonoma State offers degrees in 46 majors and 47 minors at the bachelor's level and 15 at the master's level, as well as nine credential programs and eight undergraduate and graduate certificate programs. The University is part of the 23-campus California State University (CSU) system, the largest four-year system of higher education in the United States. Sonoma State University has received a $1 million donation from the Koret Foundation. The investment will be used to fund three years of student projects at Sonoma State, as well as upgrade classroom technology.